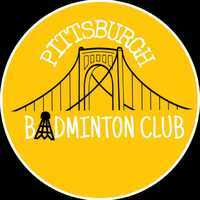 Welcome to the Pittsburgh Badminton Club! Join us at one of our events (we have players at all skill-levels) to play some great games, make new friends and get a good workout in the process! 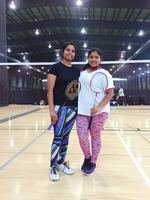 We are a group of badminton enthusiasts dedicated to playing with and helping other like-minded players in the Pittsburgh, Pennsylvania (U.S.A) area. 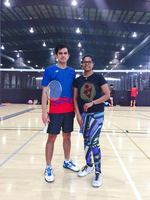 We regularly meet at suitable courts for formal pre-arranged doubles or singles matches, or informal pick-up open group badminton court times. 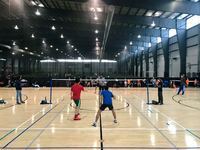 Currently, our club meets and plays at the Cool Springs Sports Complex, a premier multi-sports facility located at 1530 Hamilton Road, Pittsburgh, PA 15234. Attendance to these sessions is strictly regulated so please join the group and look out for invites. 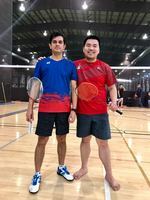 This group is intended to allow players to sign-up for regularly hosted events, make friends and to freely exchange information & ideas related to the sport within a safe environment. 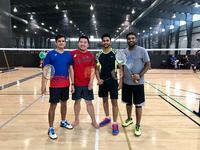 It is also meant to be a place for individual players and smaller established badminton groups throughout the Greater Pittsburgh area to find & meet other players with similar skill-levels, organize games or practice sessions outside of the regularly scheduled times, get to know each other, and potentially grow the badminton community in Pittsburgh into a strong and close-knit group. Feel free to contact one of the organizers to get more info or just post in this group with any questions you might have. If this change is well received by players, we will continue with this scheduling day/time so folks don’t have to make time at work to try to get a spot. 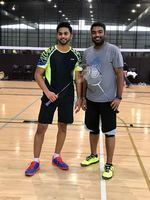 Great job Chaitu.. Very well organized and had fun!! 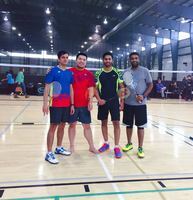 Had great fun! 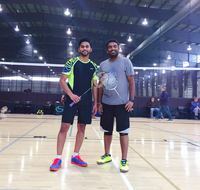 Good job Chaitu and Praveen! 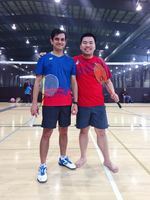 I'm looking to play advanced badminton with others. I played in some open tournaments and I'm looking to play with some advanced players to improve my game!